The Home Depot is the world’s largest home improvement speciality retailer with more than 2,200 retail stores. The company helps consumers care for and improve their homes by promoting a do-it-yourself concept. 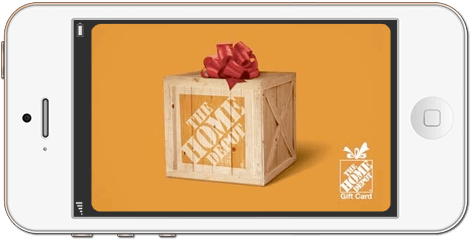 Digital The Home Depot Gift Cards are a cost-effective and fast reward option. Provide a memorable reward with The Home Depot Plastic Gift Cards. We ship bulk plastic merchant cards directly to you. Offer your recipients a choice of rewards with OmniCodes. You can let them choose from Visa and MasterCard products or great national brands like The Home Depot. OmniCard specializes in employee rewards, sales incentives, marketing promotions, wellness incentives, and much more. 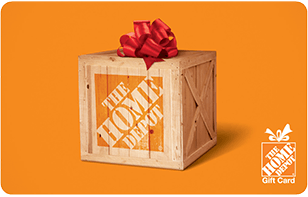 Use The Home Depot gift cards for a successful and memorable rewards program. Buy in bulk using our easy-to-use client web portal or automate the process using our API Platform. 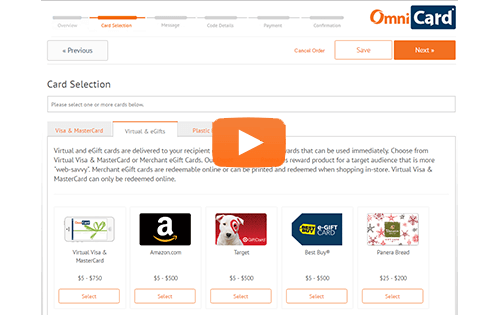 OmniCard.com is not affiliated with The Home Depot®. The Home Depot® is a registered trademark of Homer TLC, Inc. The Home Depot® is not a sponsor of this promotion.